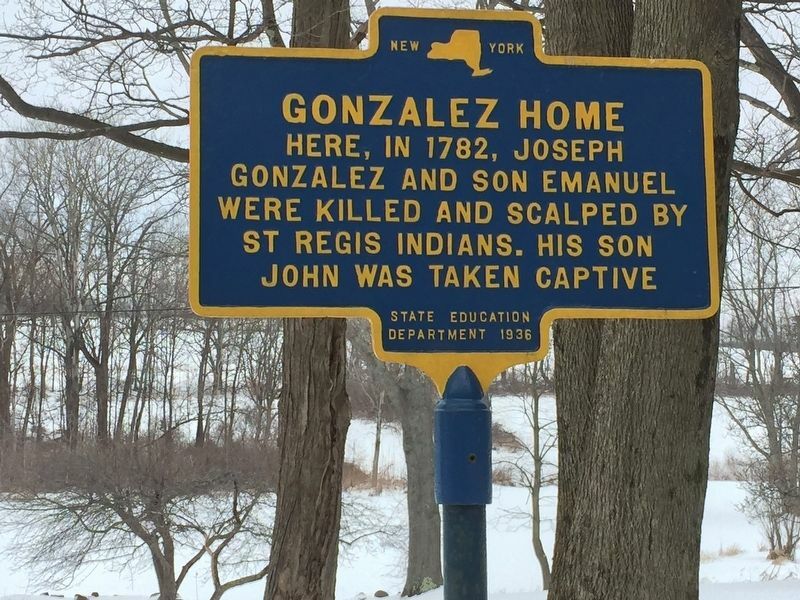 Here, in 1782, Joseph Gonzalez and son Emanuel were killed and scalped by St. Regis Indians. His son John was taken captive. Erected 1936 by State Education Department. Location. 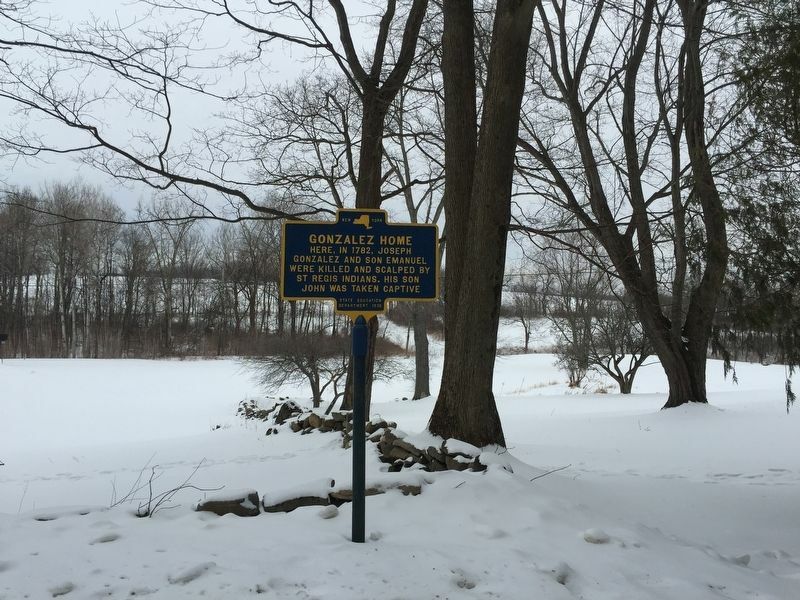 42° 57.217′ N, 74° 3.494′ W. Marker is in Charlton, New York, in Saratoga County. Marker is on Western Avenue, on the right when traveling west. Touch for map. Marker is a little past the intersection with Hart Road. Marker is at or near this postal address: 86 Western Avenue, Amsterdam NY 12010, United States of America. Touch for directions. Other nearby markers. At least 8 other markers are within 3 miles of this marker, measured as the crow flies. West Charlton (approx. 1.6 miles away); Van Vleck Home (approx. 1.7 miles away); Primitive Path (approx. 1.8 miles away); A Former Lake (approx. 1.8 miles away); Scotch Church (approx. 2 miles away); Scotch Street (approx. 2 miles away); Sacandaga Road (approx. 2.2 miles away); a different marker also named Primitive Path (approx. 2.4 miles away). Touch for a list and map of all markers in Charlton. Loyalist. In April, 1782, local Tories convinced a party of St. Regis Indians to attack Joseph and Emanuel while they were out in their fields. Joseph was ambushed and tomahawked and Emanuel was shot while fleeing. Joseph’s son John was captured and force marched to Canada. He returned in 1785, and built the first frame house in this area on the SW section of this parcel. More. Search the internet for Gonzalez Home. Credits. This page was last revised on March 21, 2019. This page originally submitted on February 20, 2019, by Steve Stoessel of Niskayuna, New York. This page has been viewed 59 times since then. Last updated on March 19, 2019, by Steve Stoessel of Niskayuna, New York. 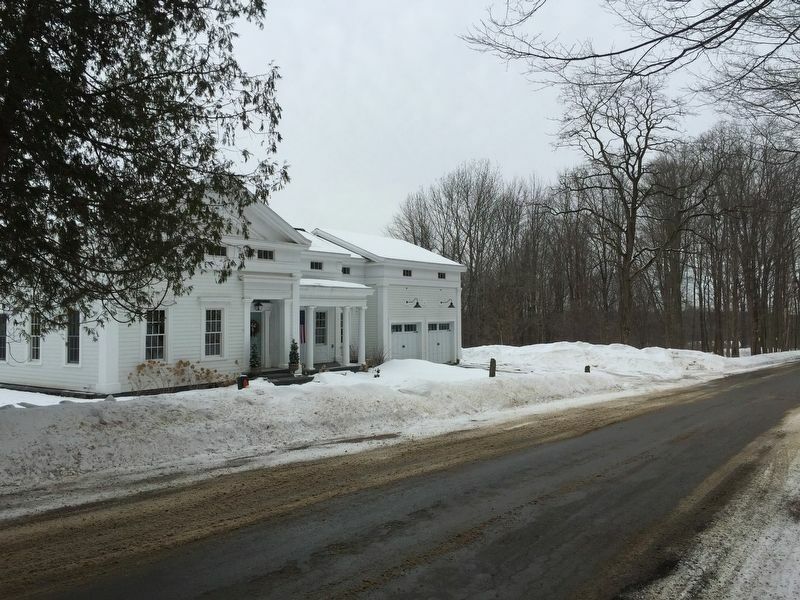 Photos: 1, 2, 3. submitted on February 20, 2019, by Steve Stoessel of Niskayuna, New York. • Bill Pfingsten was the editor who published this page.